An enjoyable round of golf at historic Asheboro Municipal Golf Course, a scrumptious lunch at Something Different Restaurant and eye-opening tour of the North Carolina Zoo were the highlights of the final day of the inaugural DSG's Affordabili-TEES golf trip. 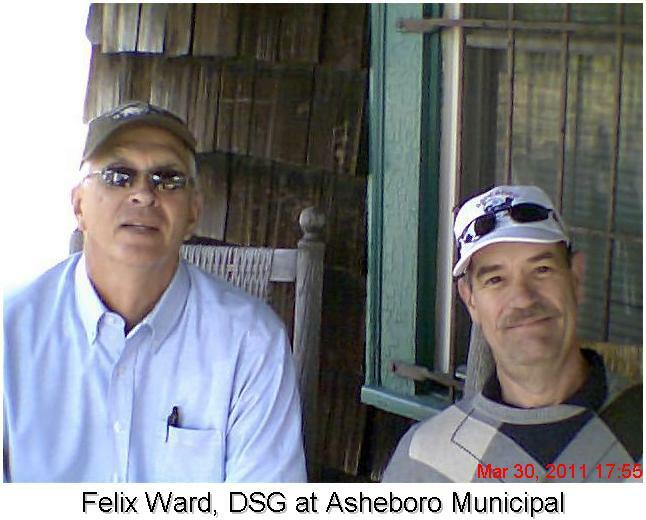 Asheboro Municipal Course is a 9-hole track that opened in 1935 and was designed by renowned golf course architect Donald Ross. It's a beautiful, challenging course with a cozy clubhouse that features a shaded back porch with vintage rocking chairs. The place radiates friendliness, thanks to the people who run the course and local residents who play there regularly. "The smallness of the place is what makes it special,'' head professional Andy Nelson said. "It's the local hangout. 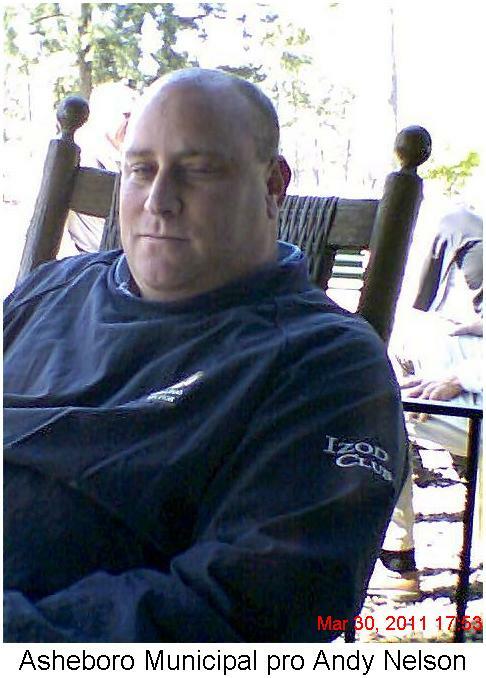 Nelson said the locals, fiercely loyal to Asheboro Muny for good reasons, don't mind sharing their course with golfing tourists from Ohio, New York, Pennsylvania and Canada. Tammy O'Kelley is director of tourism for Heart of North Carolina Visitors Bureau. It's her job to make sure people know about Asheboro Muny and all of the attractions in the Randolph County communities of Asheboro, Archdale, Franklinville, Liberty, Ramseur, Randleman (home of NASCAR legend Richard Petty), Seagrove, Staley and Trinity. She was my tour guide for the day, and a total delight. For the round at Asheboro Muny, she paired me with Bruce Edwards, an assistant pro at the course, and Felix Ward, director of Asheboro Parks and Recreation, owner-operator of the course. In the 90 or so minutes it took us to navigate nine holes, I heard many a story about the course and its rich history from these fine gentlemen. I've always had a soft spot in my heart for 9-hole tracks. When I was a kid just taking up the game, I often played at Vink's (now The News-Herald), across the street at Sequoia (now Johnnycake Ridge Golf Course, Willoughby Golf Center (now a subdivision) and Green Ridge Golf Couse in Wickliffe (still operating). Years later, I was introduced to Casement Club in Painesville and played there hundreds of times before the flood of July 2006 forced its permanent closing. When the playing was done at Asheboro Muny, we sat on the back porch and jawboned for a spell before Tammy returned to take me to lunch at Something Different Restaurant. This down-home establishment is the domain of Sinan Nardali. Tammy said Nardali is an accomplished chef and native of Turkey who came to Asheboro 20 years ago to visit and loved the city so much he decided to make it his home. Turkey's loss was Asheboro's culinary gain, for sure. 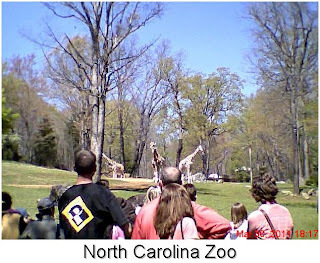 Making efficient use of limited time, Tammy included visits to Asheboro Country Club and the North Carolina Zoo on our itinerary. There wasn't time enough to even sneak in nine holes at Asheboro Country Club, but I did chat with director of golf Harold Jordan (see the video on www.news-herald.com, Video, Sports). 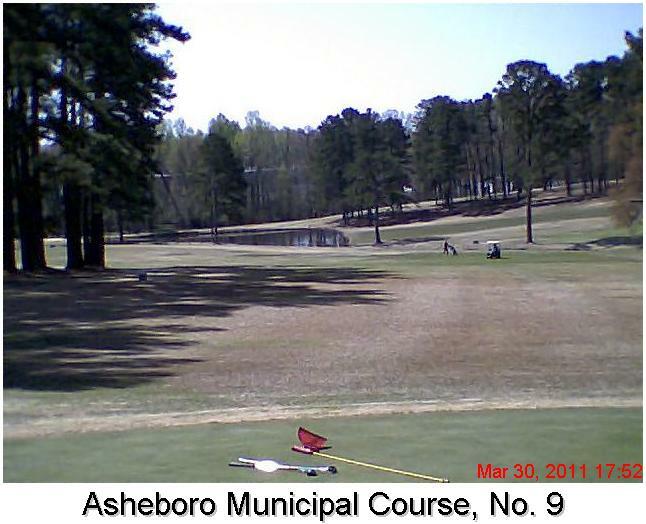 The course looks great, so I'll play it next time through Asheboro. 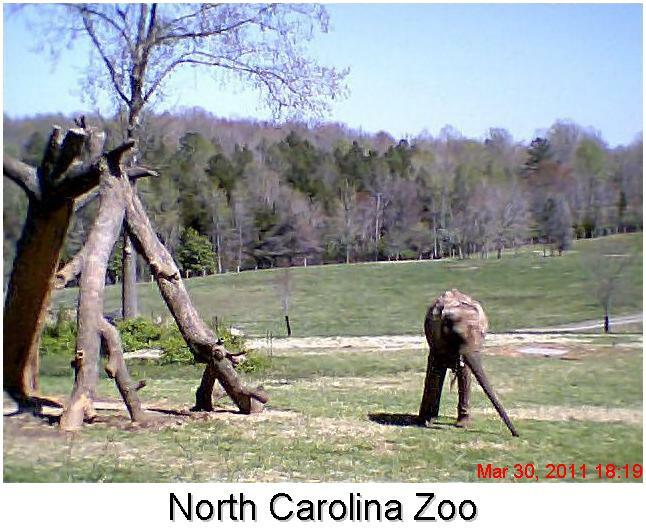 Tammy arranged a 45-minute tour of the North Carolina Zoo conducted by its public relations manager, Rod Hackney. This is a spectacular zoo, covering 2,200 acres and embracing the philosophy of placing animals in habitats that are as close to natural as possible in a zoo setting. 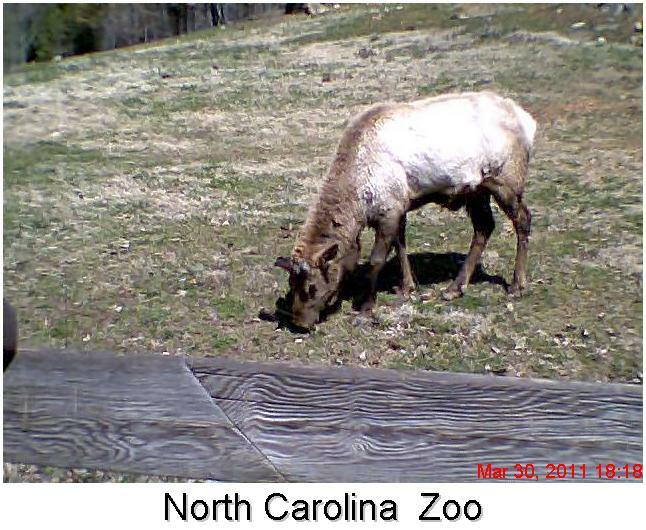 Rod and Tammy both recommended setting aside a day to experience the North Carolina. They are right on the money. It's an ideal place for a family outing. 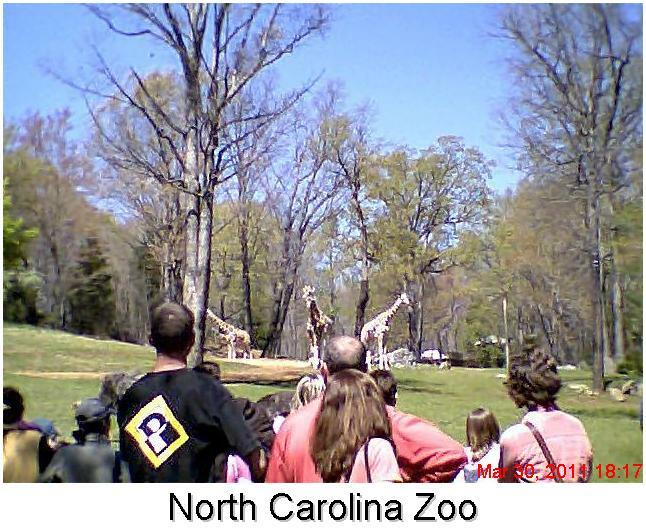 If you are looking to take an affordable road trip this summer, do some research on the North Carolina Zoo and the Asheboro area. Asheboro is centrally located in North Carolina on State Route 64. Many tourists and golfers either pass through or make only a brief stop here on their way to Pinehurst or Myrtle Beach. That was me on previous trips. This time, I made it a point to spend some time in Asheboro. I am so glad I did and will be back soon. In fact, I've got it my head that I need to come back this fall to see more of Randolph County and the fall colors in the Uwharrie National Forest.